That's no typo. The price is legit. 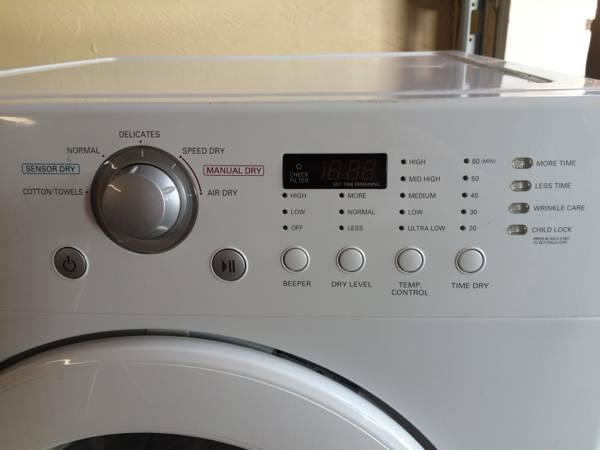 This used LG front load washer and dryer set really is listed for sale on Craigslist for just $250 — even though the seller paid over $1,200 for the washer and dryer new in 2011! Well, you can cross "Craigslist scam" off your list of possible explanations. The truth is the seller, Jay, is very upfront about the reason he's selling these like-new energy efficient, LG appliances for a song. 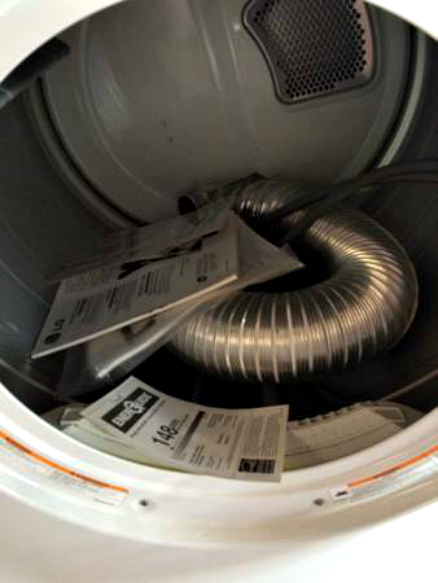 Turns out, the dryer drum is rusted in one area and may need to be replaced — that is, if it can't be repaired. According to Jay, repairing the LG dryer drum should be an "easy fix" using "some sort of sealer/high temp motor engine paint." I did a little online research and found those in-the-know agree with Jay. In article after article, expert appliance repairmen and do-it-yourselfers alike recommend painting over appliance rust as a solution. The only point of contention seems to be "which" type of specialty paint works best on a dryer drum (ie: enamel paint vs. ceramic or epoxy spray paint.) There's also some argument over whether or not high heat-resistant paint is required. If you're anything like me, you would prefer to make your own determination. To give you a head start, I have included links to the best articles from my research as well as a step-by-step how-to video at the end of this post. 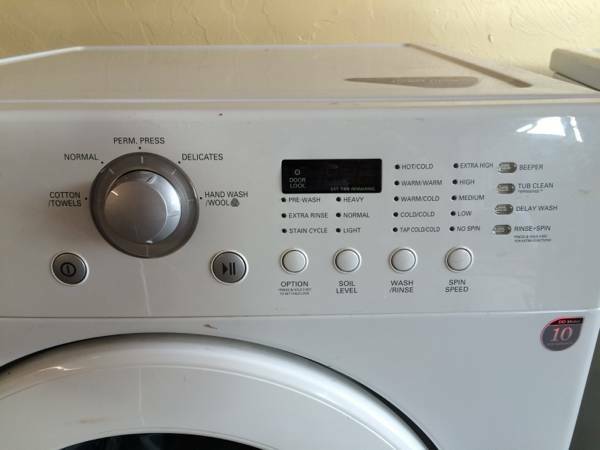 Up for sale is this white and chrome digital, high-efficiency, LG front load washer and dryer set in good working condition. I purchased the washer and dryer in 2011 and only used them for 4 months before moving to a new place that already had a front load washer and dryer. Since then I have moved the washer and dryer from storage facility to storage facility because I have moved a few times. Everywhere I rented had a washer and dryer available, so I literally haven't used them for 4 years. I bought them brand new from Best Buy and still have all the manuals and paperwork. Sale includes both LG units, dryer vent hose, and washer hoses. There are are some minor scratches and dings, but nothing major. Why only $250 for the pair? 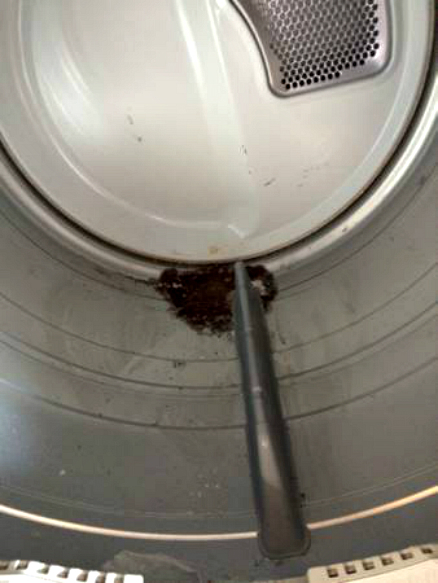 Well, as you can see in the photo, the drum in the dryer has rust. I accidently left a small bottle of detergent in the drum during my initial move and a small amount of liquid leaked out, and that began the rust. THIS IS AN EASY FIX. Either replace the drum or fix the rust with some sort of sealer/high temp motor engine paint. I have no interest in doing this myself, which is way I'm giving these away at $250. LG Dryer Front Load, LG Dryers, LG Front Washer and Dryer, LG Appliances Washer Dryer, LG Front Loading Washing Machine, Front Load Washer and Dryer Sets, front load washer and dryer set on sale, washer and dryer set"
If you are interested in purchasing this LG front load washer and dryer set— despite the rusted dryer drum — follow this link to contact the seller directly via the original Craigslist listing at OKC.CRAIGSLIST.ORG. 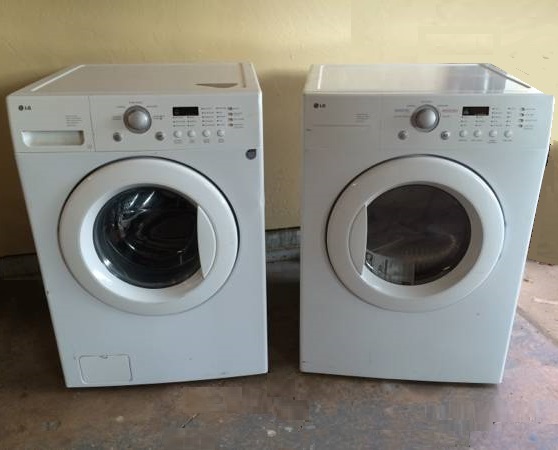 Are you in the market for a front load washer and dryer? How do you feel about this LG set? 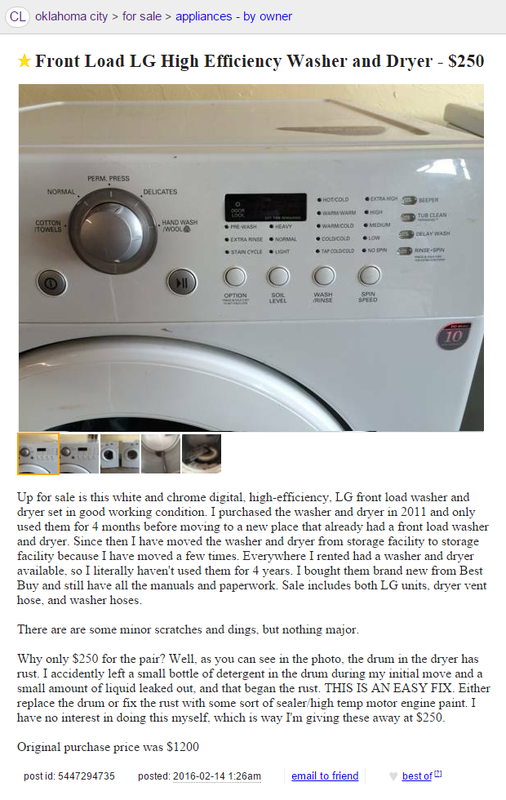 What about buying a used dryer with a rusted drum? 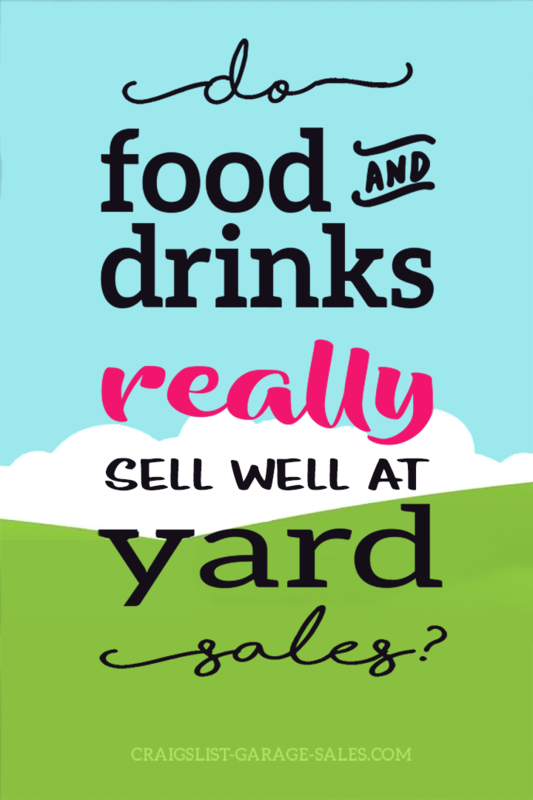 Have you experienced a similar problem? How did you deal with it? Please share your story in the comments section below! Wow amazing find on CL! I have been using a combination of alerts and CL Search Engines to find sweep deals. I hope I get one like yours! Hi Samantha. I just lucked into finding that washer and dryer. 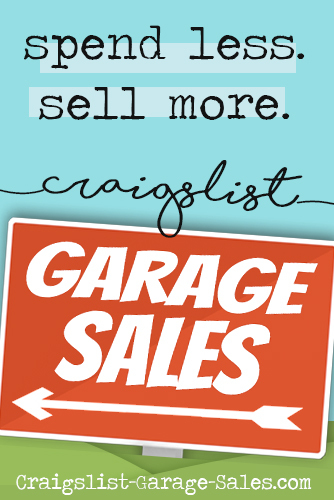 I know quite a few people who put a lot of time and effort into trying to find the best deals on Craigslist first. It's not easy. Thank you for commenting!